is a project for all people who want to renovate warehouses (sohko) or other buildings and turn them into creative offices or studios. It is a database to distribute designs for offices, furniture, or renovation ideas that anyone can copy or modify (open source design) so that everyone can implement a cool, warehouse-like space. Please construct, with your own hands, open source renovation ideas proposed by professional designers and architects. "DISCOVER" From tables and chairs to desk lamps and planters, let's search for design ideas that you like. "DOWNLOAD" You can download plans for open source furniture or renovation designs free of charge. "MAKE" Let's make it. Simple objects are DIY, and for more difficult objects ask your local furniture store. "ENJOY!" It's open source design, so enjoy your own unique creative space! 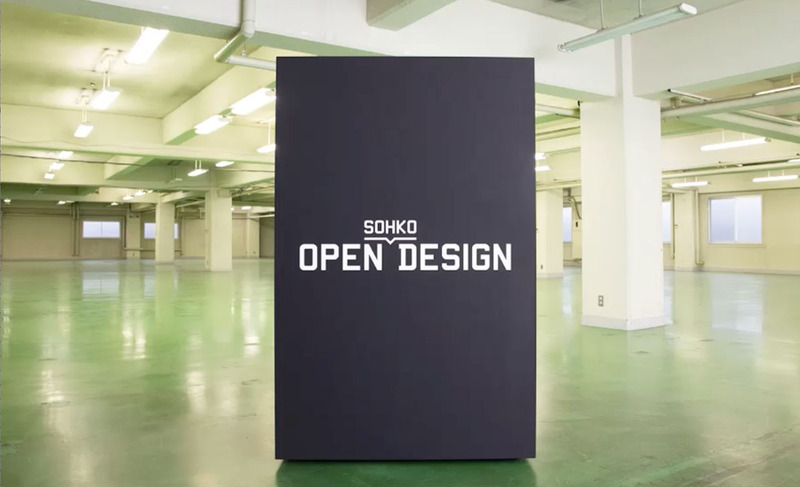 Re-SOHKO is a company that connects warehouses (sohko) with new people, objects, and things. NOSIGNER is a design firm that identifies challenges in society and brings innovative solutions in return.